"Saturday's event is a "supermoon," the closest and therefore the biggest and brightest full moon of the year. Saturday night, the moon was about 221,802 miles from Earth. That's about 15,300 miles closer than average." 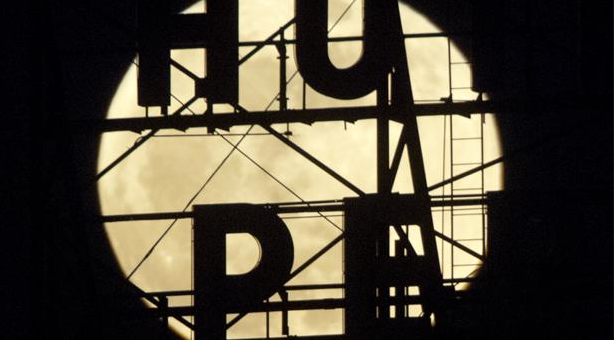 A full moon rises above the temporarily closed Hotel Pere Marquette in Peoria, Ill. 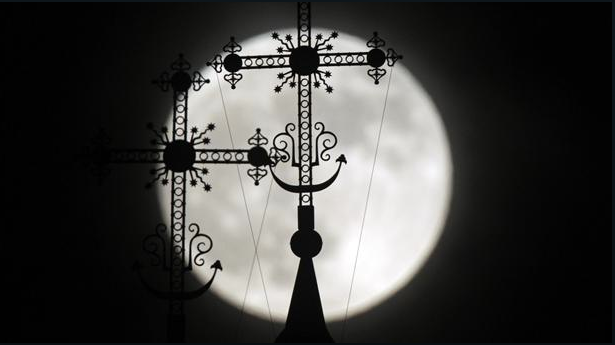 The full moon rises behind the steeple of an Orthodox church in Novogrudok, which is 93 miles west of Minsk, Belarus.